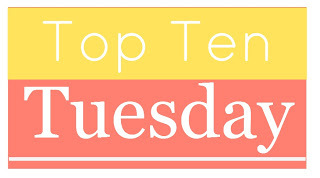 This week we are listing “‘Top Ten Books I Was “Forced'” to Read (either by teachers, friends, other bloggers, book club)” So I picked 5 with a bad or boring results and 5 with good ones. Had to read this one for school. While I will grant its importance, some serious NoDoze required. One of the very few book club picks I have ever just hated. A high school read which I resent to this day. I will never get the hours I read this book back nor the hours I slaved over the paper I wrote on it either. Take my eyes, rather than make me read this book. I know it is a classic in the SciFi world but I wanted to die. Least scary horror book ever, still trying to figure out how it ended up on all of these best horror of all time lists. With the recommendation “Best book I would never recommend anyone read” you have to read it. And yes, completely accurate recommendation. Would not have known about it without a book club, thank goodness for book clubs. Most irreverent thing I have read. I had not laughed so hard at a book before. And now I am a Moore fan. Read this to try and make for not getting through Jonathan Strange & Mr Norell. But I am now trying that on Audio. Cannot thank the person who turned me onto Cat Vatente enough. She is a top five author. GAH! I’ve got to get Lonely Werewolf Girl back from when I loaned it out and actually read it! Lamb is one of my very favorite books, period. And I’ve had a copy of the Werewolf Girl book on my shelf for a while now — glad to hear you liked it!